Dr Ekavi Georgousopoulou completed her Bachelor of Science of Nutrition and Dietetics at the Harokopio University of Athens, Greece and Honours degree (First Class) in Nutrition and Dietetics with interest in general population’s perceptions and beliefs concerning the role of Cardiovascular Disease risk factors and its correlation with health profile and patterns of lifestyle choices. Her first postgraduate degree was MSc in Biostatistics in Athens Medical School of University of Athens and her thesis entitled: “The role of time-dependent lipokines in the prognosis of life-expectancy in adults with lung cancer: the moderating role of cachexia”. Dr Georgousopoulou completed her second Msc in Applied Dietetics-Clinical Dietetics at the Department of Nutrition-Dietetics in Harokopio University of Athens, with thesis title: “The role of adherence to Mediterranean diet and Mediterranean diet food groups’ consumption on the 10-year CVD risk of the Greek urban population”. Dr Georgousopoulou’s PhD in Cardiovascular Disease epidemiolgy was gained by investigating the incremental role od fietary habits’ assessment in the accuracy of Cardiovascular Disease risk estimation models. During this time, Dr Georgousopoulou applied her expertise in biostatistics in order to validate the existing Hellenic risk estimation score and also reveal the best fitted statistical modelling in Cardiovascular Disease risk estimation. 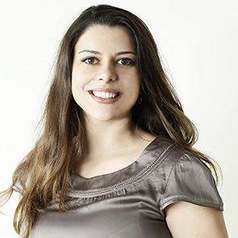 At the Harokopio University, Dr Georgousopoulou extended her expertise in large dataset analyses as a research biostatistitian and currently hold the position of Research Associate in Epidemiology in Harokopio University. Her research, in this position, focuses mainly on the exploration and avaluation of the paths though which adherence to Mediterranean diet is protective against Cardiovascular Disease incidence.